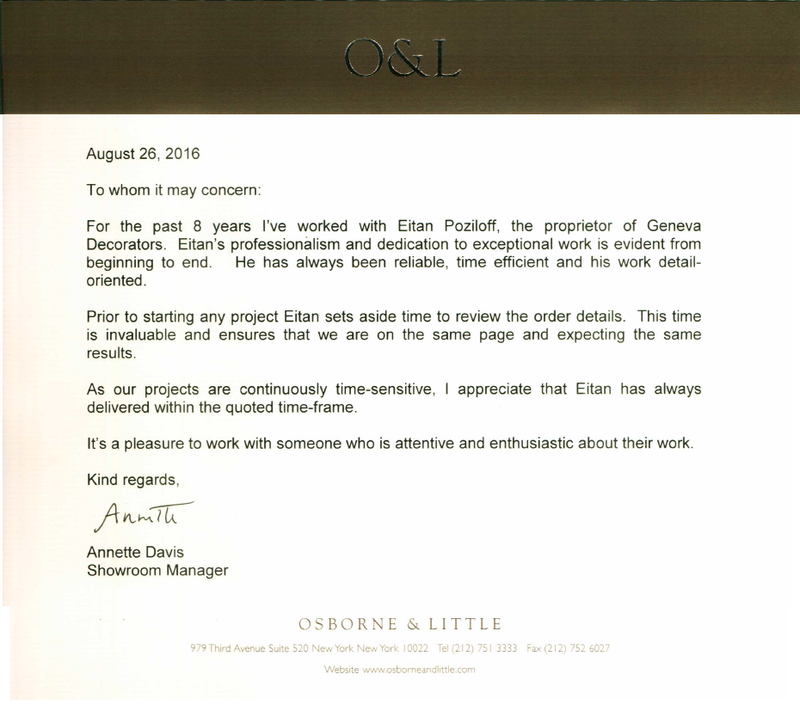 I have worked with Eitan Poziloff of Geneva Decorators for the last 8 years. 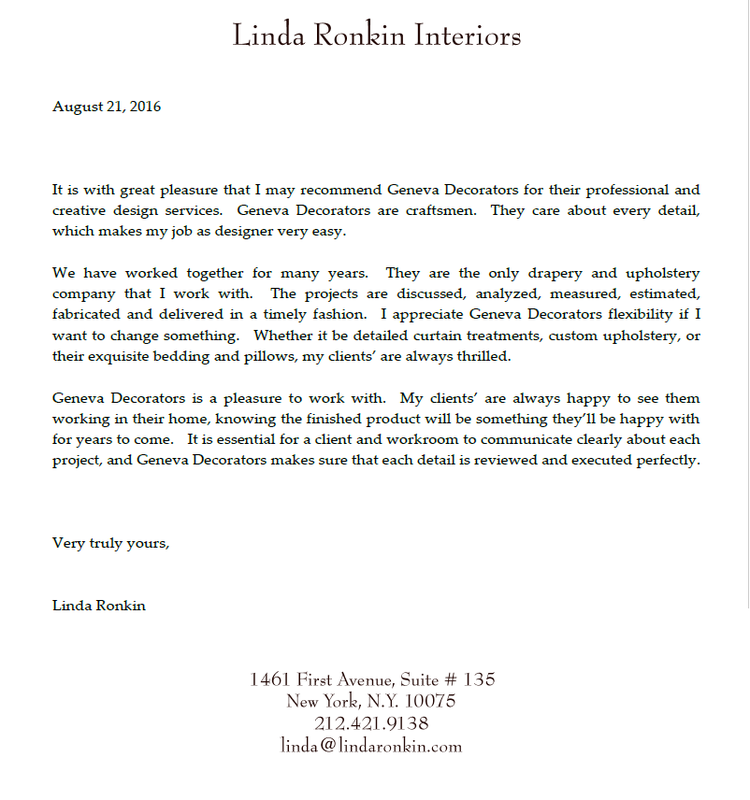 He is exceptional in his craft and understands and does exactly what you ask. There is no challenge that he can’t take on and complete with the utmost precision and attention to detail. His work is always high quality. His cooperation in scheduling around our calendars and meeting the deadline set, is on target and very much appreciated by us. 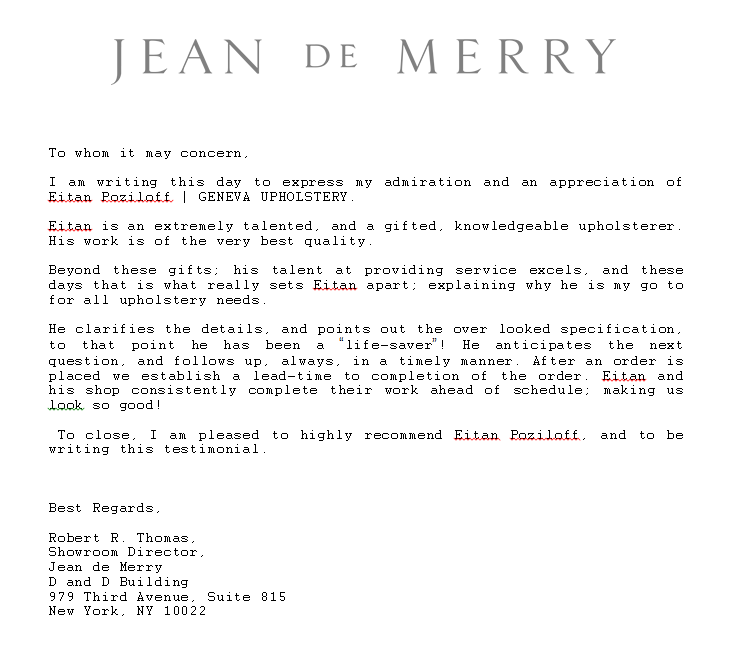 His professionalism and generosity is highly regarded and respected by Duralee Fabrics. 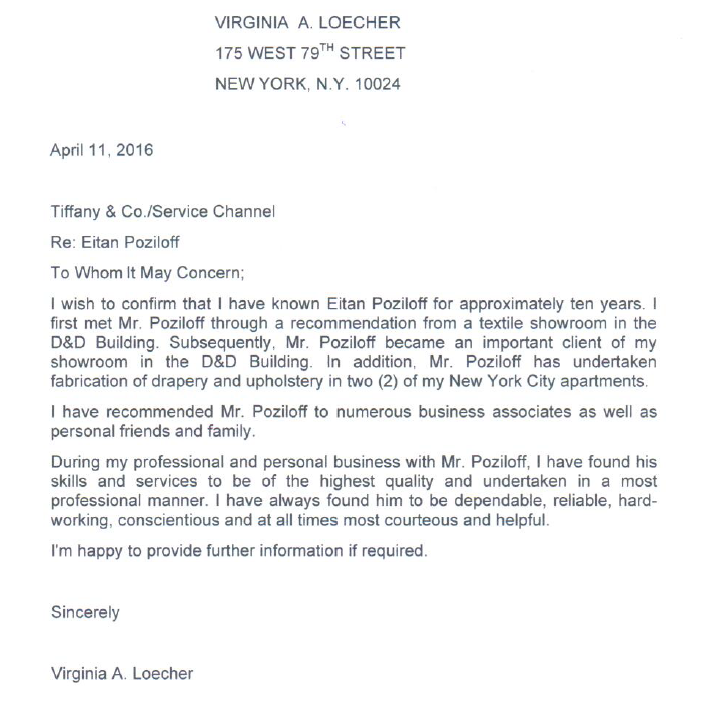 I recommend Eitan Poziloff and Geneva Decorators for any project you have, and you can trust that the job will be on schedule and beautiful. Please feel free to contact me if I can be of any further assistance.